Patrick and Mary Lee Memorial Concert at Neil Bardal Funeral Centre. 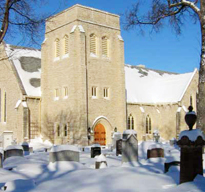 RCCO recital series at All Saints’, Broadway at Osborne, 12:15 – 12:45 p.m.
Repainting the John West Hall. Lunch will be served both days. Service of Thanksgiving commemorating the Bicentenary of the Red River Settlement and the arrival of the Selkirk Settlers in Rupert’s Land. The service will be at 10:00 a.m. instead of the usual 10:30 a.m. Keep in mind that there will be no Great Litany or 8:30 a.m. Eucharist on September 9. The Neil Bardal Concert Series will present a special concert in memory of Bishop Patrick with proceeds going to support the Kalagali/Fisher Branch School in Uganda. Do you have a longing to explore a deeper connection with God? Deepen your awareness of God at work within us and the ways in which God may be calling us to respond to the world around us. Please join us for what promises to be a lively growing experience! Open to everyone! The sewing of choir gown scapulas takes place in the choir room on Fridays at 9. Please join us if you are able to help out. Many hands make light work! Celebration of New Ministry of the Very Rev. Paul N. Johnson as Incumbent of the Cathedral Parish of St. John and Dean of Rupert’s Land.